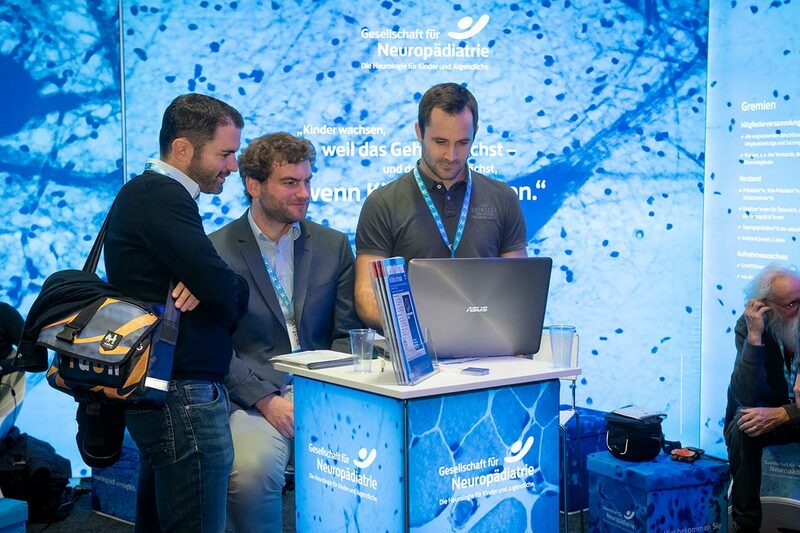 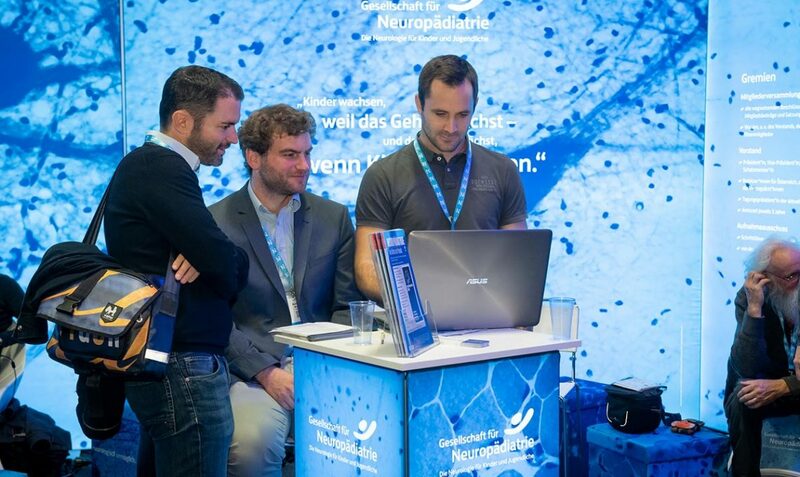 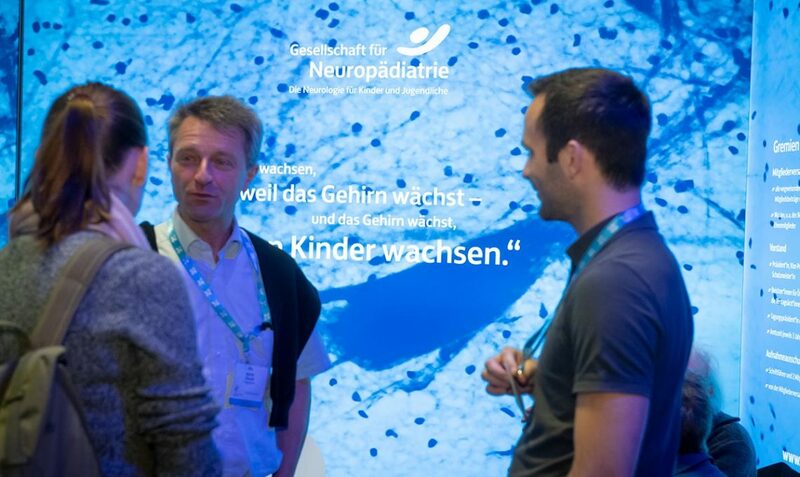 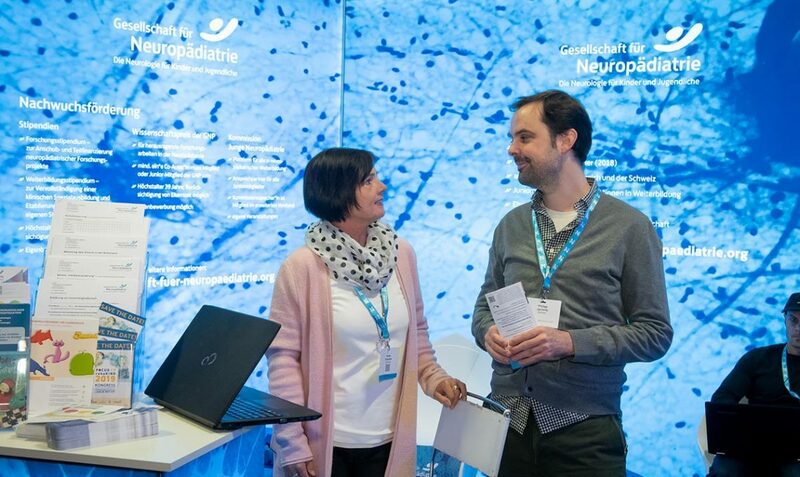 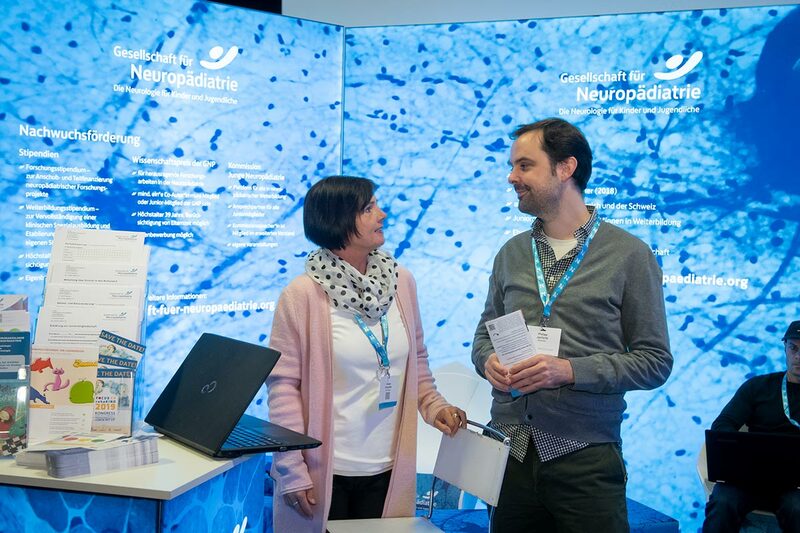 Exhibition design for the German Society for Pediatric Neurology, premiered at the Neurowoche 2018 in Berlin. 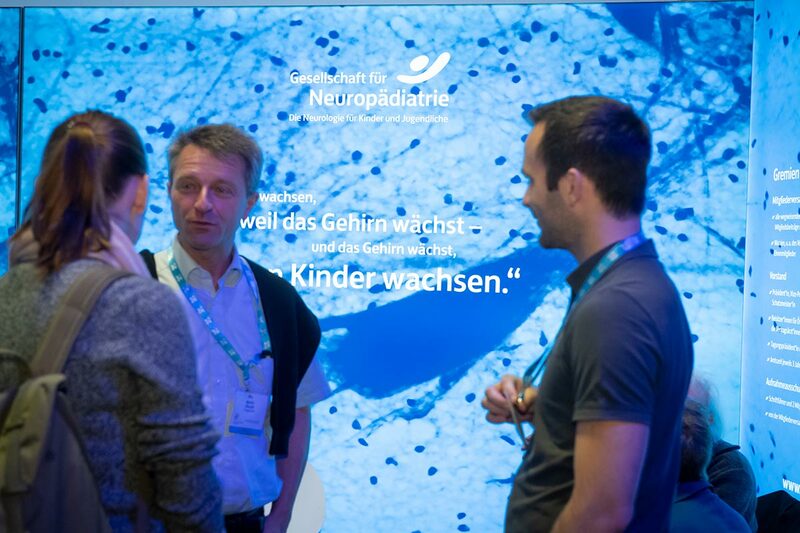 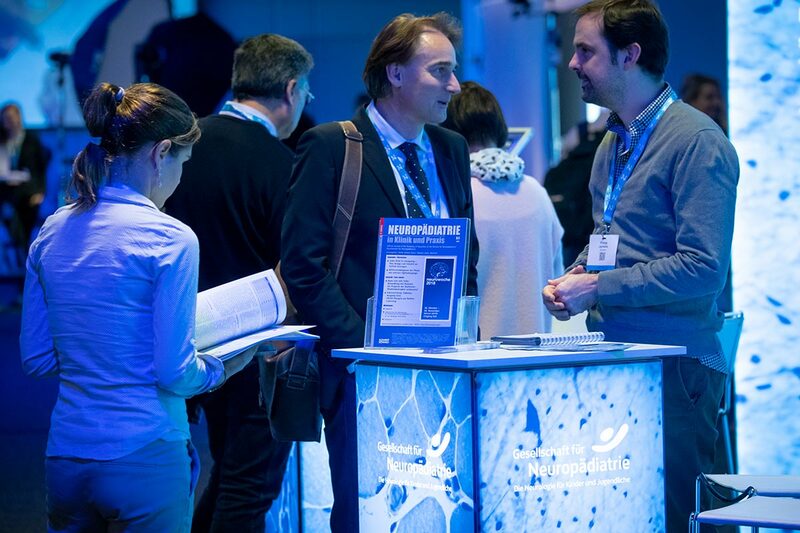 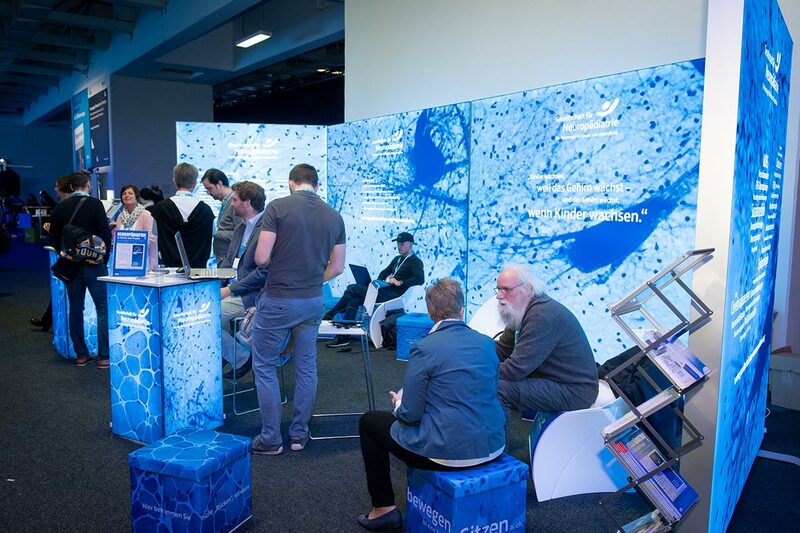 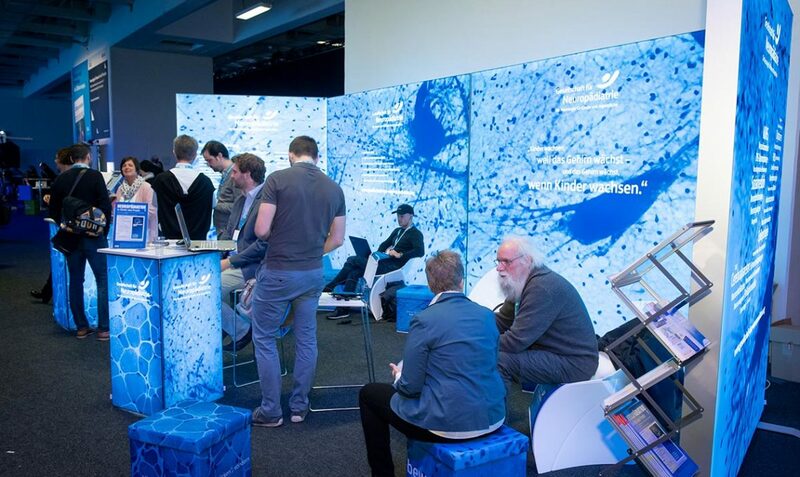 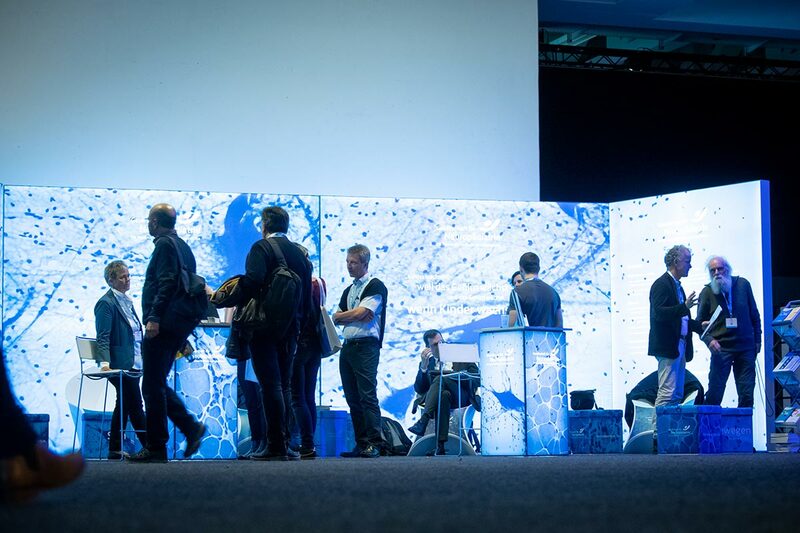 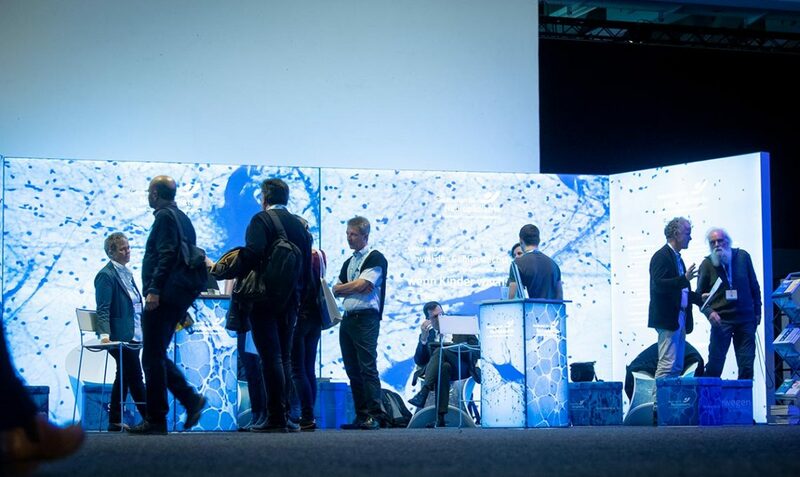 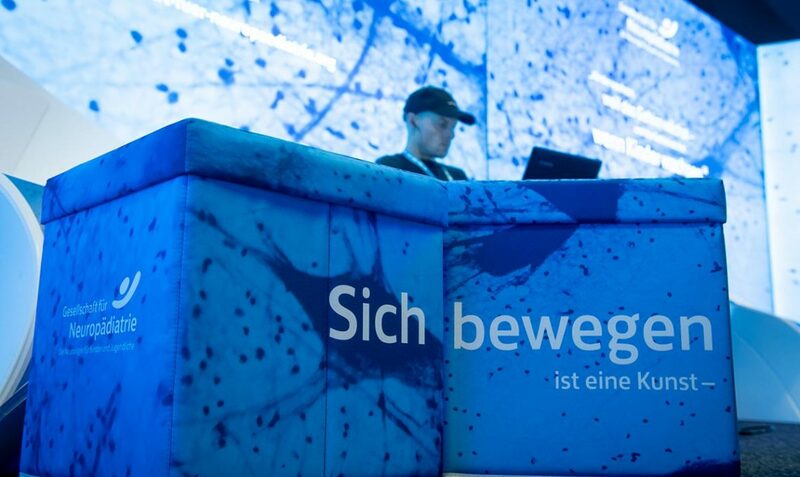 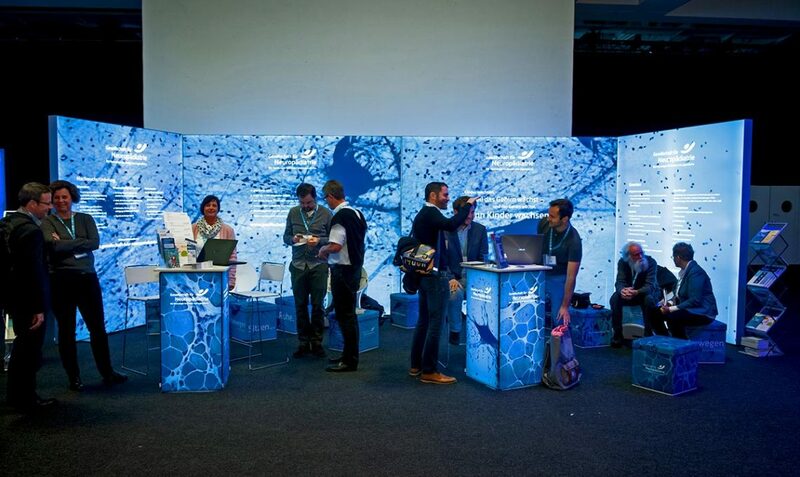 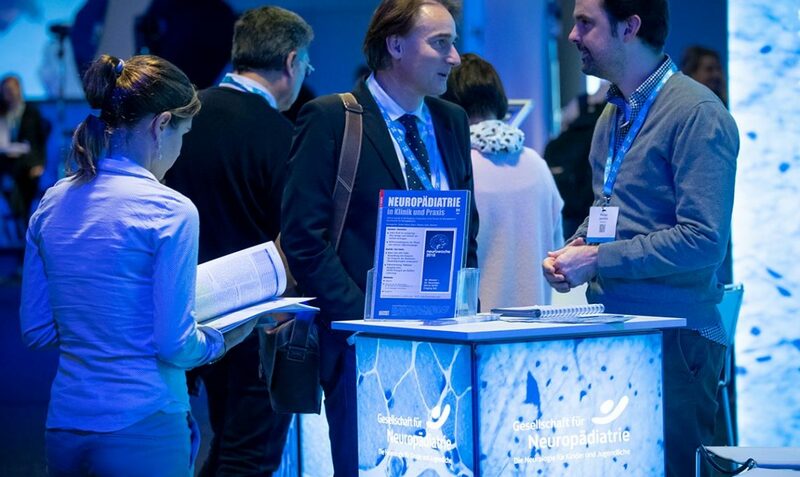 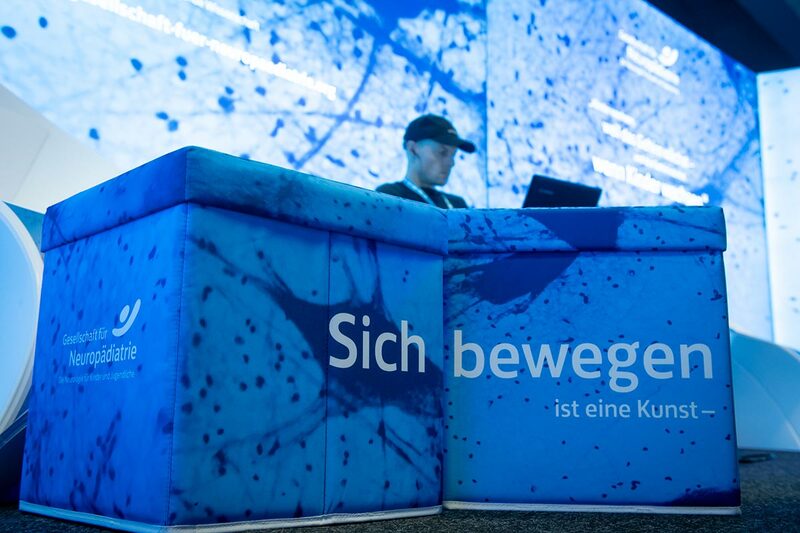 Four LED-lighted walls spanning over 32 feet (10 meter) build a flexible backdrop for the hustle and bustle at various events for the German Society for Pediatric Neurology (Gesellschaft für Neuropädiatrie, GNP). 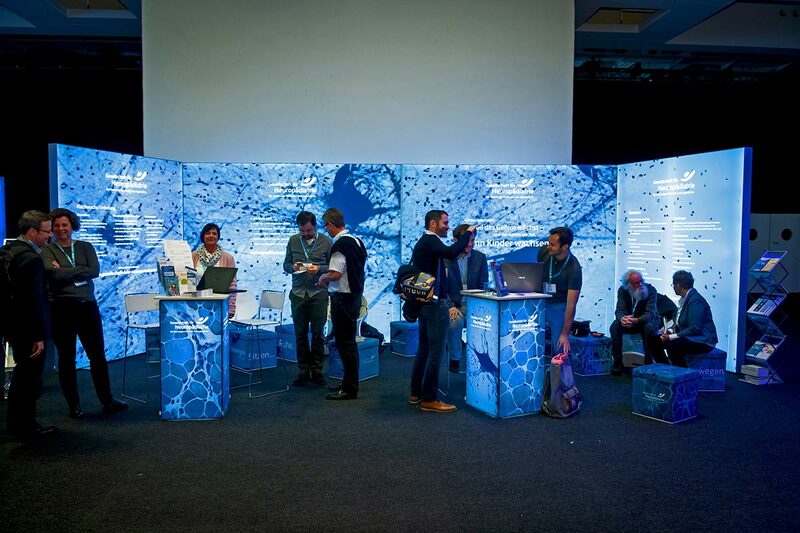 Two LED-lighted tables and a handful of foldable, space saving, but very comfortable FluxChairs offer focal points to meet and mingle, additional seating is provided by smaller cubes, adorned with whimsical slogans adding a little bit of fun to the otherwise serious business of children’s neurology.